1st Gear: Jaguar has confirmed it's working on a new "X-Type-like" small sedan set to slot into the pretty kitty line-up below the XF with a price expected to start at around $45,000. Autocar reports this morning that company insiders tell them that the new car will be slightly smaller than today's XF saloon, while still being big enough to accommodate five adults. There's no news yet on whether the car will be built around an aluminium platform despite recent reports that the replacement for the XF will almost certainly be made from aluminium, will grow in size and will move slightly further upmarket. This would seem to indicate that the second and third part of that rumor is accurate. 2nd Gear: The newly redesigned Volkswagen Jetta now ranks last among 11 small sedans tested by Consumer Reports. Engineers found fault with its agility, cornering grip, coarse engine, braking, interior fit and finish, and so-so fuel economy, with the pub saying "the redesigned Volkswagen Jetta is a shadow of the agile, well-finished car it once was." Ouch. That'll leave a mark. But, Consumer Reports has a silver lining for the Jetta — the SportWagen is still given a "Recommended" score. But that's because it's based on the previous generation of the vehicle. Double ouch. Even Automobile is asking Volkswagen to "stop" the insanity. 3rd Gear: Warning: Possible yawn-inducing news may continue! In the "small car" category, in addition to the "shadowy" new Jetta, Consumer Reports also tested the new Scion tC coupe, two versions of the new Chevrolet Cruze and the Hyundai Elantra. Consumer Reports said the redesigned Scion tC is "a well-equipped coupe that provides responsive handling as well as very good fuel economy and acceleration." The consumer-focused mag found the Cruze to be "light-years ahead of the crude Chevrolet Cobalt that it replaced" and moved it up from bottom of the pack to middle of the pack with a "Very Good" score. The newest generation Hyundai Elantra was also named a Top Pick in its category and currently ranks it the best small sedan tested by the publication, followed by the Nissan Sentra, Subaru Impreza and Toyota Corolla, in descending order. 4th Gear: An heiress to the Ford Motor Company throne is expected in court today on drunken driving charges, her attorney said. Elena Ford, 44, Henry Ford's great-great-granddaughter, was arrested late Sunday in Ferndale. She is accused of operating a vehicle while intoxicated and faces child endangerment charges because her son also was in the Ford Explorer she was driving. In 2009, Elena Ford became director of global marketing, sales and service at Ford Motor Co. — a newly created position and after Executive Chairman Bill Ford Jr., who served as CEO before hiring Alan Mulally in 2006 from Boeing, she is the most prominent member of the family at the automaker. 5th Gear: In more news that makes us hesitant to drive a rental car, the American Car Rental Association — an organization representing 94 rental companies — wants the government to adopt a new system that would designate some recalls as so serious that a vehicle should no longer be driven while others would allow cars to be driven and repaired later. "We can't determine the significance of a recall and whether a vehicle is no longer safe to operate or whether it can continue to operate and then should simply be brought in for service at some point in time," he said. "We simply want the manufacturers to instruct us when a vehicle needs to be grounded and we will absolutely comply." Hmm, I thought that was what the text of the recall did, but maybe that's just me. 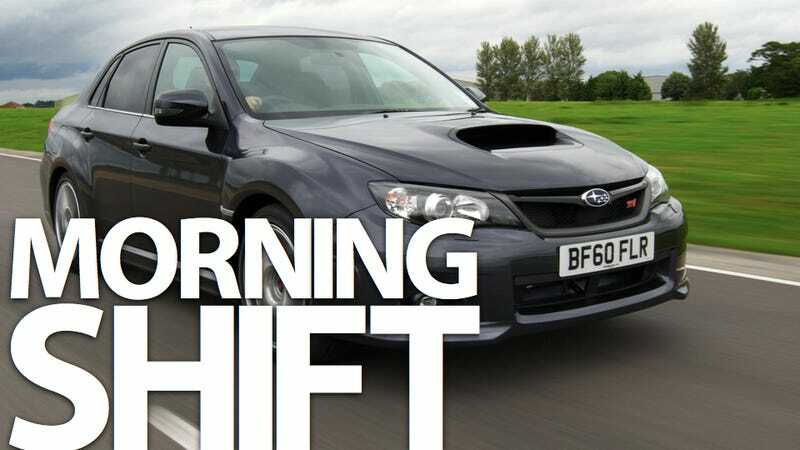 6th Gear: Despite reports that it's "inevitable" Toyota will close down all of its North American plants later this month (an assertion repeated yet again this morning on NBC's "The Today Show"), the Japanese automaker has denied those claims, saying no such decision has been made. In an update yesterday afternoon, the Japanese automaker stated production interruptions at its 13 North American plants are "likely" but that it was "too early to predict" where the interruptions will take place and how long they will last.